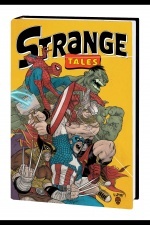 Strange Tales II | Ty Templeton's ART LAND!! What am I up to?!? I get asked this a lot. I usually have about nine projects in the air at any one time, and as a result, I’m always behind on about three of them…but I’m STARTING to get caught up on some of it, so I thought I’d share (almost) everything I’m working on this week. Back row: Suzie and Edgar. Front row: Sweet-pie, Dave and Lois. 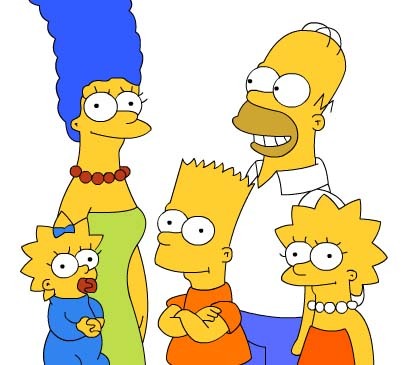 Just finishing up a script for an issue of the Simpsons Comic, it should be done by the weekend. Great fun, the family visits Canada again, and as a Canuck, I get to poke fun at some of my fellow country-men. 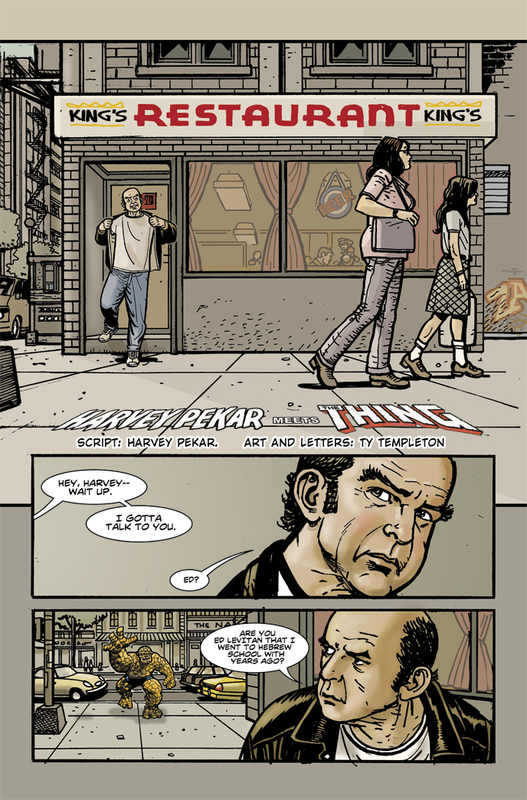 It’s been announced here and there that Marvel is publishing ONE LAST Harvey Pekar story for their upcoming Strange Tales series, but I’m not sure it’s been announced that I’m the one drawing it. So I announce it here. 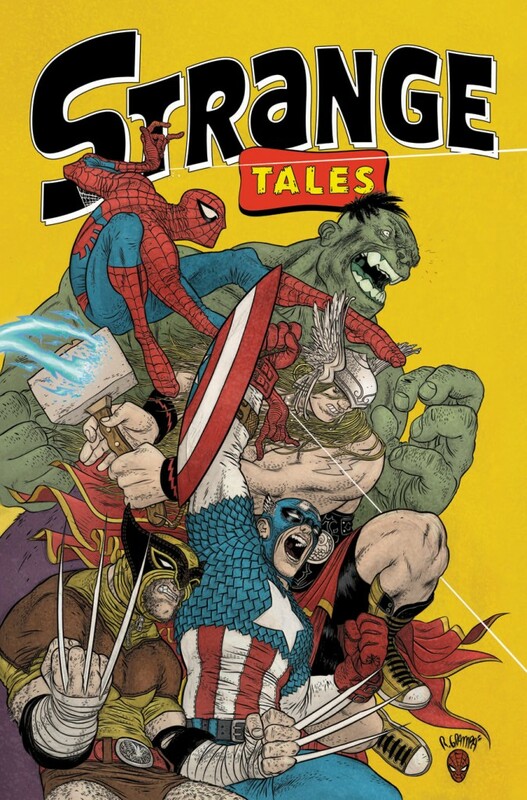 You can't see Harvey on this cover, he's hiding behind Hulk. I’ve read Harvey’s script for this issue, and it’s one of the funnier things he ever wrote, and I’m bleeding with excitement to start laying this out on the weekend. Drat him for dying like he did, but I’m honored and delighted that he made a point of asking me to do this before he died. Yer a mensch, Harve. For the next couple of hours I’m doing final production on a CANADIAN SHIELD cover for the fine folks at HEROES OF THE NORTH. I did a pin-up of their character PACIFICA a couple of weeks ago, and dove in for a second blast of illustration fun. That’s today’s playtime. Later today, I’m inking some pages over GIBSON QUARTER pencils for a new comic book (that I created and am editing for the Toronto Cartoonist Workshop) about the great grandchildren of the Master Detective, and their 21st Century adventures. 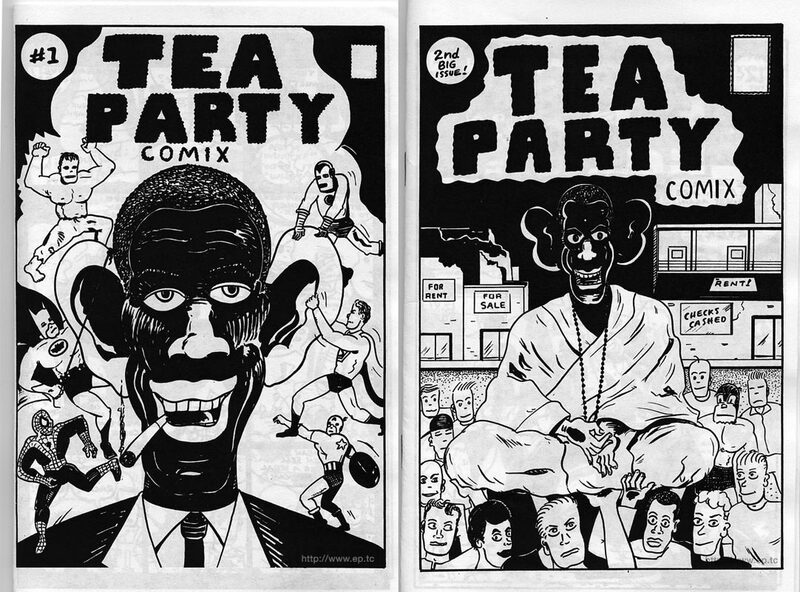 I’ll try to get some of the pages and cover for this mag up asap, it’s being published in about four weeks. AHH AHH AHH AHH ! Deadlines!! Whether you’ve never read a Holmes-style story, or you’ve been an addicted Baker Street Irregular for years, you guys are going to LOVE this comic, trust me. The premiere issue will launch at FAN EXPO at the end of the month. Much more on this as the day approaches. Promo image from THE GAY CAVALCADE. Hoverboy, Uncle Orval, and "The Chief" seem to be upset about something...the Chief is likely drunk, as the character was often played for racist laughs. 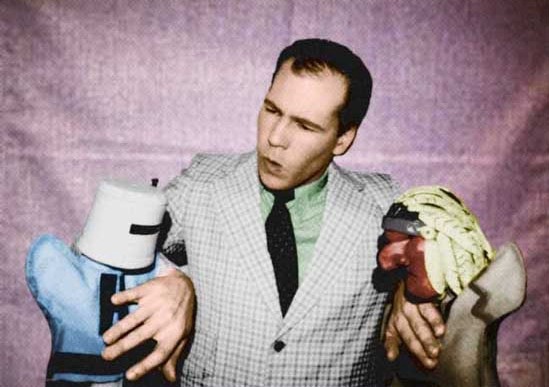 And I’ve be looking over some old Hoverboy footage with the Hoverboy production staff… NEWLY DISCOVERED “GAY CAVALCADE” episodes…the Hoverboy puppet show from the early sixties. They need some editing and some cleaning up, but it should be ready for the Hoverboy Museum in the next couple of weeks. FOUR entire episodes were found UNCUT! Can’t wait to show ’em to you. And though it shot LAST week, I think the TV program I co-hosted for Space: the Imagination Station about graphic novels should be airing in the next week or two. Check your local listings (in Canada) as they say. And that’s not counting my teaching, raising my children, or my work with blind orphan girls. ENOUGH TALKING TO YOU GUYS, I’m back to work…but before I go…. If you haven’t seen the DC UNIVERSE ONLINE game promo for the new game “WHO DO YOU TRUST?”, then go HERE immediately! I mean NOW! This is the BEST I’ve ever seen in super-hero CGI. Not kidding, it makes Arkham Asylum look like Pong. I thought everyone had seen this trailer by now, but it turns out a bunch of folks haven’t seen the glory. Go, enjoy. Bring popcorn.